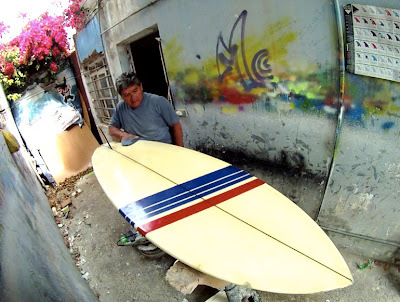 : Board Collector: Gerry Lopez 6'4"
Sorry for my english, it's not my natural language. 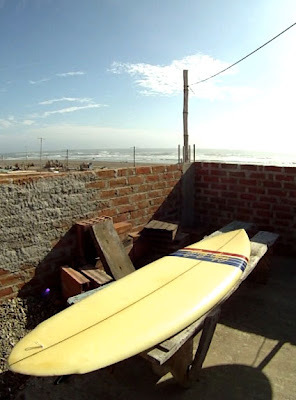 I'm a surfer living in Peru. One month ago, in Peru, I was lucky to find an old single surfboard with the inscription "Gerry Lopez". 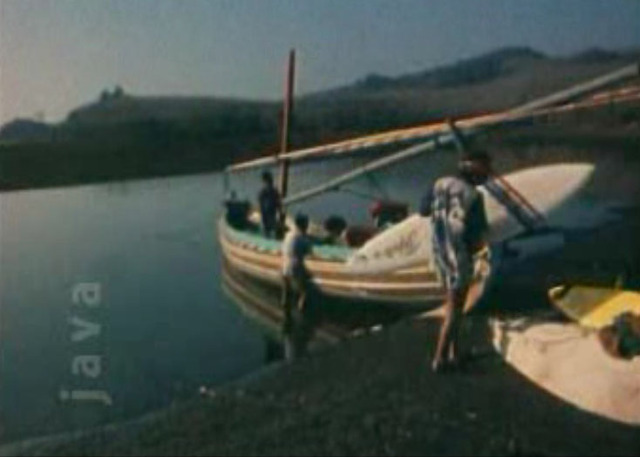 Passionate about surfing in the 60's & 70's (congratulations for your beautiful blog! ), I wish to know more about the history of this board because always it's an amazing feeling to surf an old surfboard with his own history. 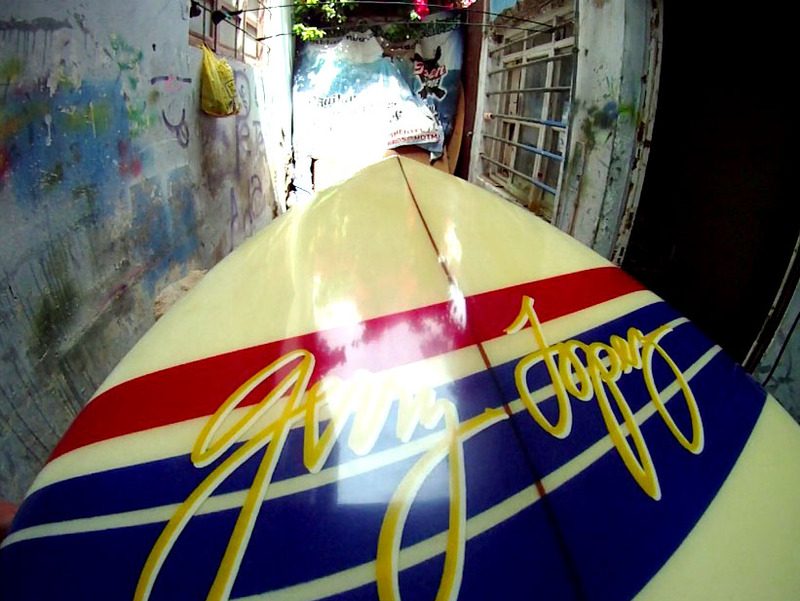 I found some pictures of Gerry in Java between 1973-75 with surfboards of same type and similar decoration. 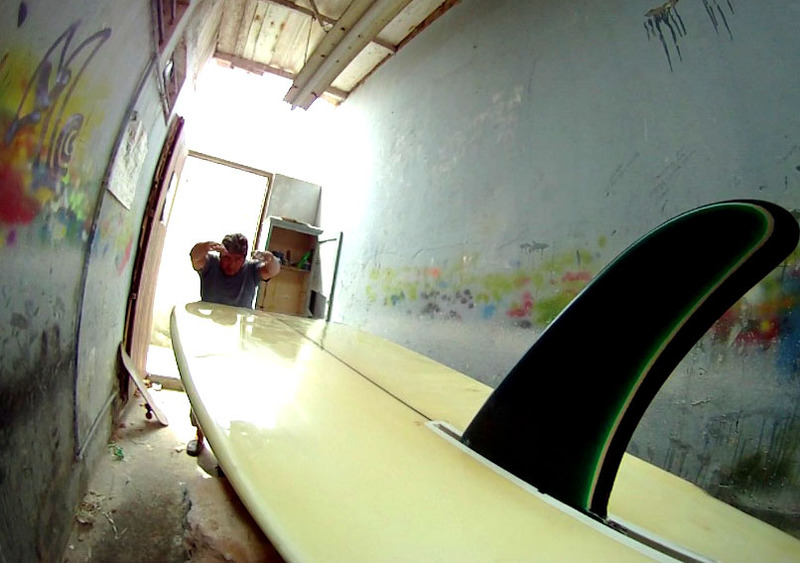 The surfboard is an 6'4. There is only one inscription on the board. It's the number 5451. 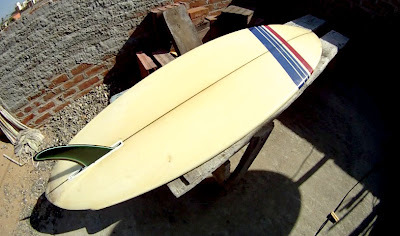 Do you have some ideas o information about the fabrication of this board (shaper, etc...) or his history ? Any information will make me happy. I can wait to try the board in the waves of Chicama! Wow! What a fantastic find. 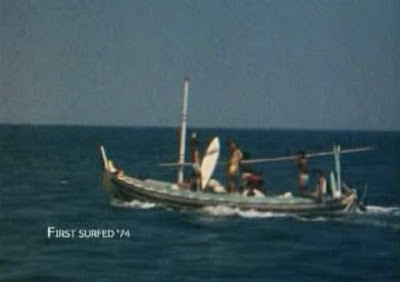 This board looks a lot like the boards Gerry took to G-Land in the movie "Storm Riders" where he famously surfed the long hollow left hander alone in nothing but a pair of sky blue speedos. I understand when Gerry split from Lightning Bolt he started his own label, Pipeline, and started shaping under his own name, still does to this day.